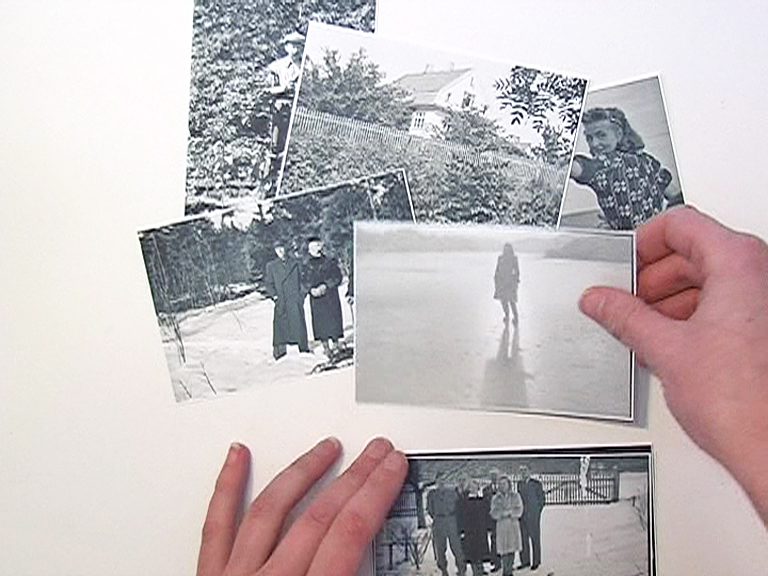 Variations of Max (2010) is a video montage narrating and intertwining the artist’s family history with the universal history book “Syncronoptische Weltgeschichte” (Syncronoptical World history) and the biography of its author Arno Peters. The “Syncronoptische Weltgeschichte”* is used as a time-map to contextualize the family history, with imagery sampled from a range of places, all referenced in the book. Through archives, books, movies, news, footage, the use of a genealogist, memories and pure speculations the stories are woven together. The voice-over is spoken by an elderly German woman (speaking English with a heavy Germany accent), rendering the artist as the protagonist and first person, fictional. *“Syncronoptische Weltgeschichte” was a universal history book by Arno and Annelies Peters published in 1952 in Frankfurt, Germany. It is a book consisting of a time map, a continuous chart starting with 1000 BC and continuing to 1952 AD. An additional supplement ending in 1978 was added to the book at a later stage. Motivated by the distortion of time and space in conventional Eurocentric history, the main idea was to create equal spatial representation of universal history. History was to be understood by simple perception. Each year has equal physical representation and is divided into categories of different color: Economy, Culture, Religion, Politics, War and Revolution.